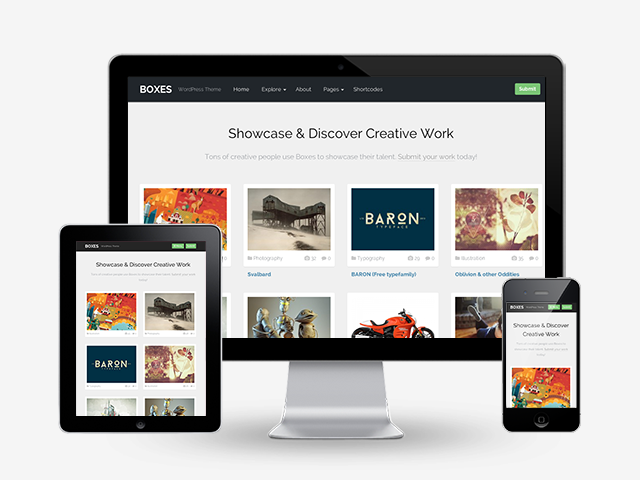 Boxes is a grid-based, minimalistic and fully responsive WordPress Theme, suited for creatives, bloggers, and users who want to setup online portfolio, gallery or magazine websites. 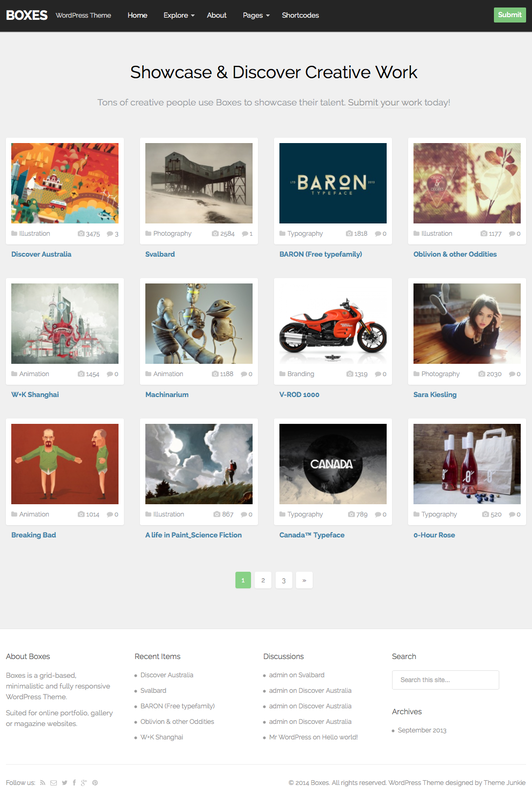 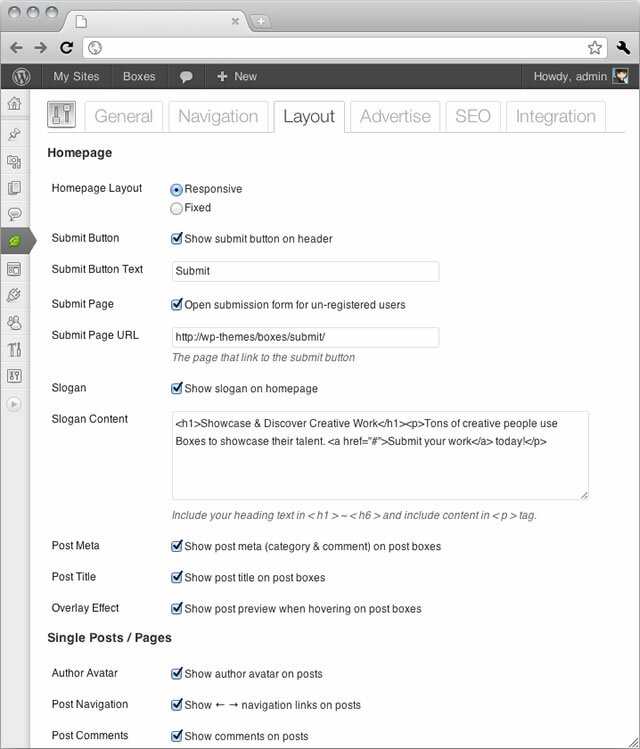 The Boxes theme also comes with a powerful & easy-to-use Post Submission Form which allows your visitors or registered users submitting new posts/galleries, then from the WordPress Dashboard you can approve the user-submitted posts/galleries to appear on your site or just delete them. 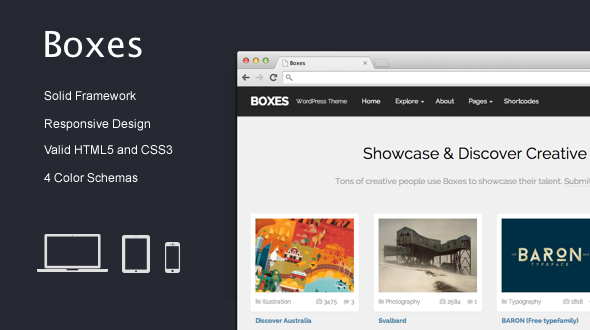 *** Boxes Changelog *** 2013.09.26 - version 1.0.0 * First release!